Chagrin Lagoons Yacht Club welcomes members of ILYA or reciprical yacht clubs arriving either by boat or by car. If you are arriving by boat, please call ahead to our gas dock to make dockage arrangements. 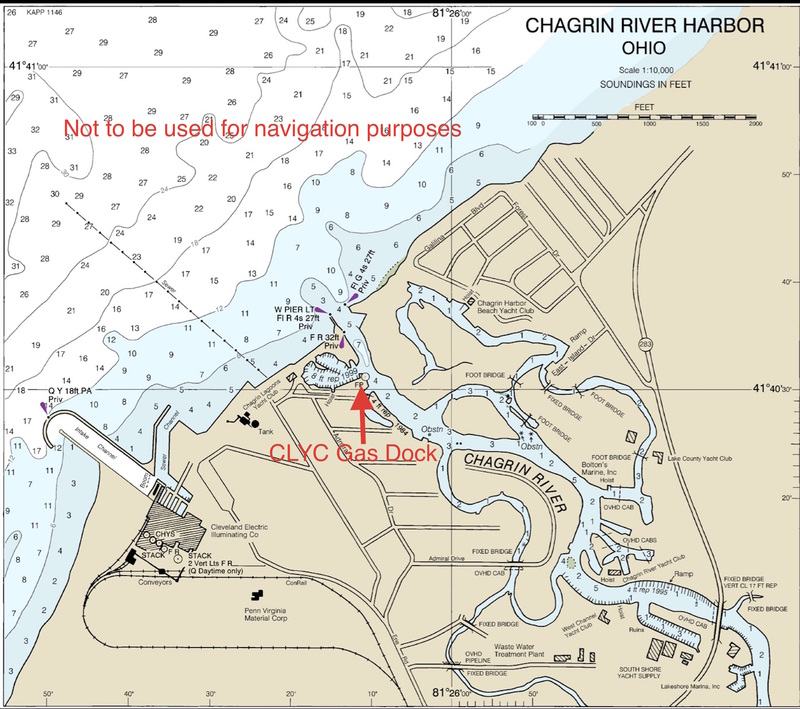 You can reach the gas dock either by phone at (440) 942-0299 or via VHF radio channel 16. When arriving at CLYC, please stop at the gas dock first. One of our gas dock attendents will register you and assign you a dock. At that time you will be given other information to make your stay more pleasant. If you are arriving by car, pull up to the front gate and press the button. Let the attendent know who you are visiting and they will open the gate for you.